So much yarn, so little time. : Nom nom nom mince pies! I don't do much cooking these days (Mr Nifty is much more domesticated than I am!) 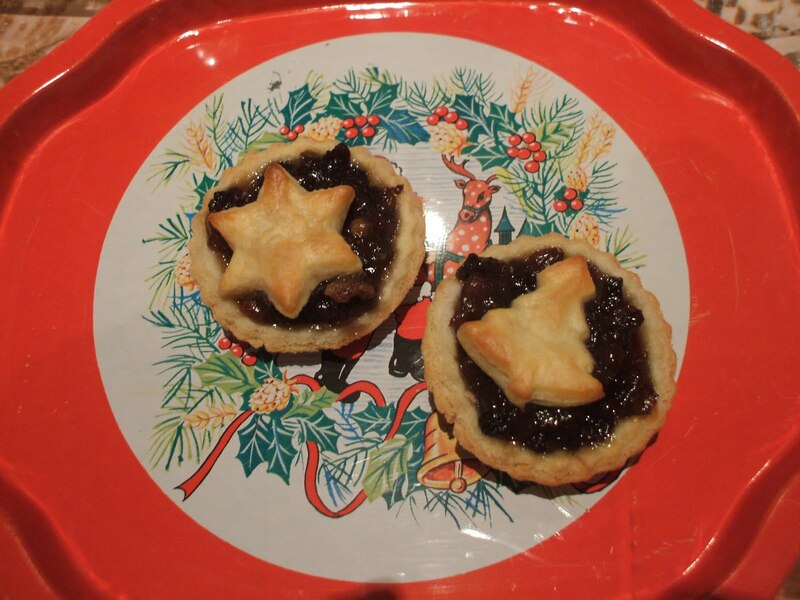 but I always make the mince pies. I use a "sweet flan pastry" from my ancient Dairy Cookery book, bought when I first left home. Mix egg yolks and icing sugar and water to a paste, ready for later. Sieve flour and salt into large bowl, cut and then rub in the butter. It won't rub in to the consistency of breadcrumbs, there is too much butter, but ignore the lumps, they won't matter. Mix to stiff paste with egg mixture, knead lightly and then wrap in clingfilm and chill for about 30 mins in the fridge. This is important - it's much too sticky to work with otherwise. Roll out and cut to line bun tins, add a spoonful or so of mincemeat. I use decdent quality "shop" mincemeat. My MiL and SiL always made their own but I don't think it ended up any nicer than shop-bought - so I don't see the point. I don't make a "full" lid, I like to use tiny Christmas cutters. It doesn't matter at all that the edges don't meet. This quantity of pastry makes about 18 mince pies and uses a full jar (400 g or whatever it is) of mincemeat. Bake in a hot over (220 C /425 F) for about 10 minutes, maybe a little longer. I like to slightly undercook and then freeze - I put them back in the oven from frozen to reheat when required. Your cookies look excellent!!! Hope all is well with you!